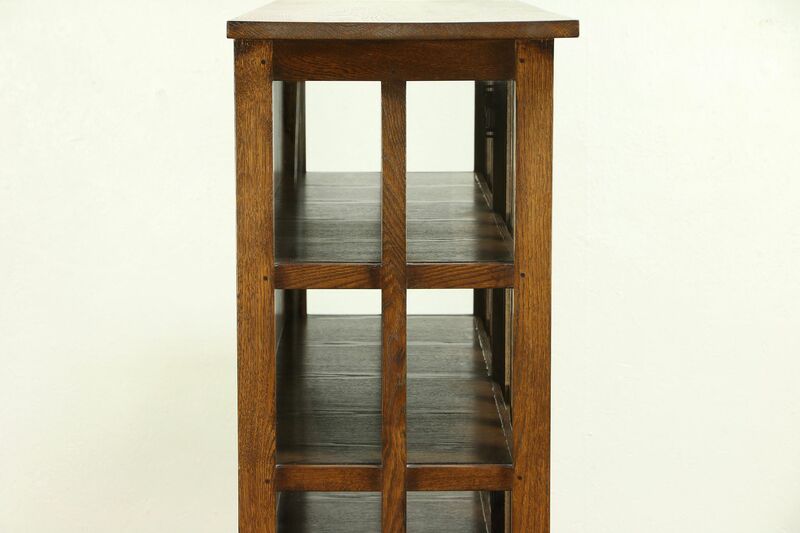 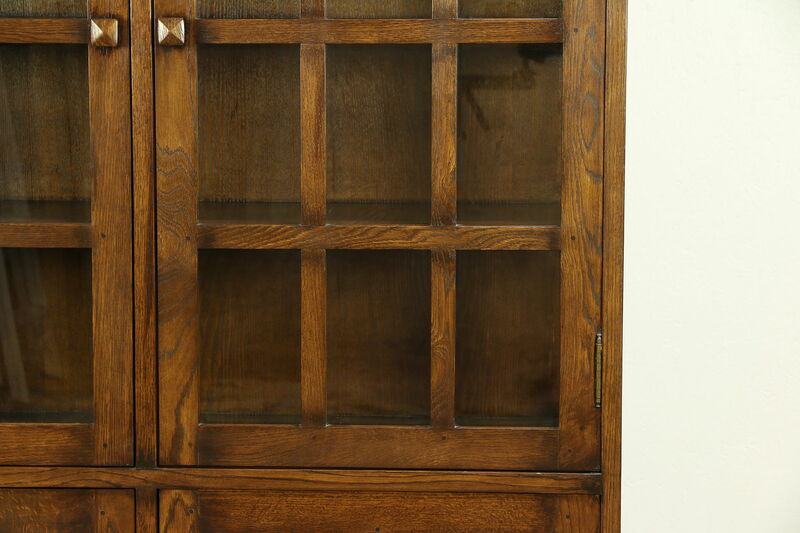 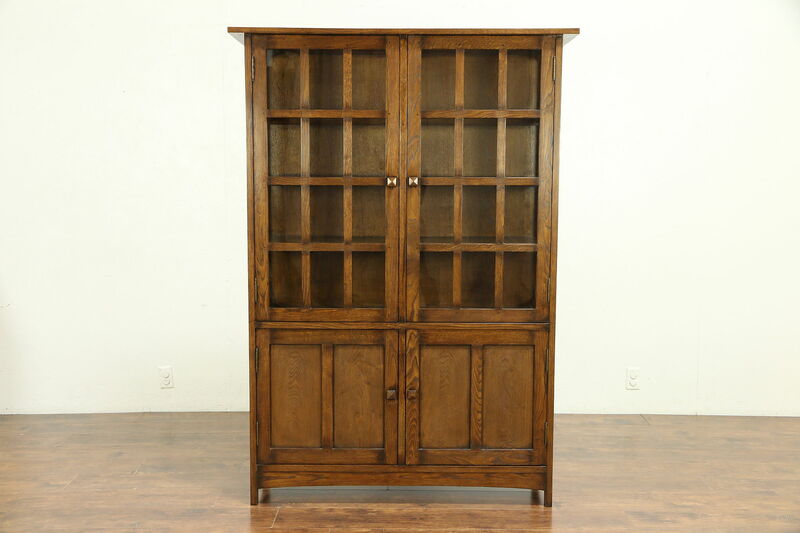 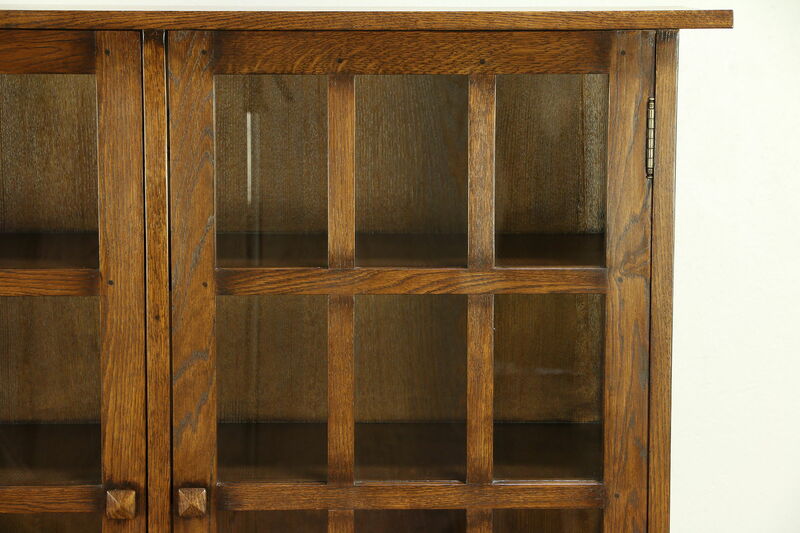 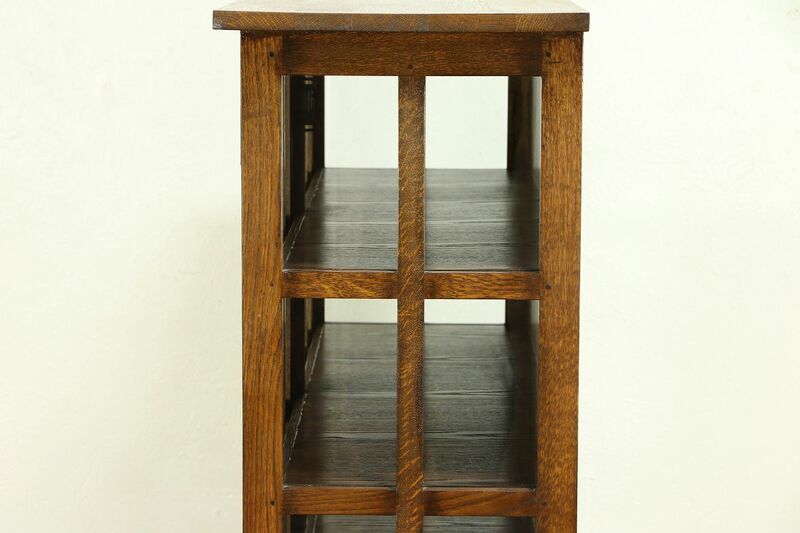 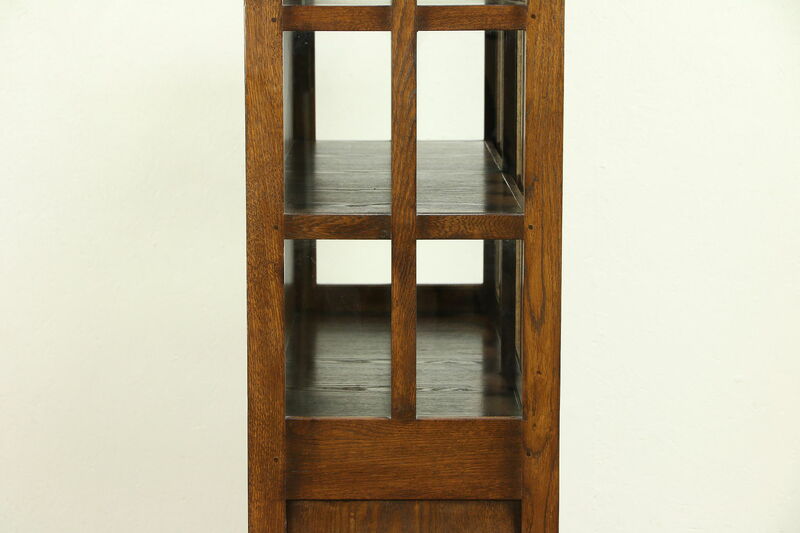 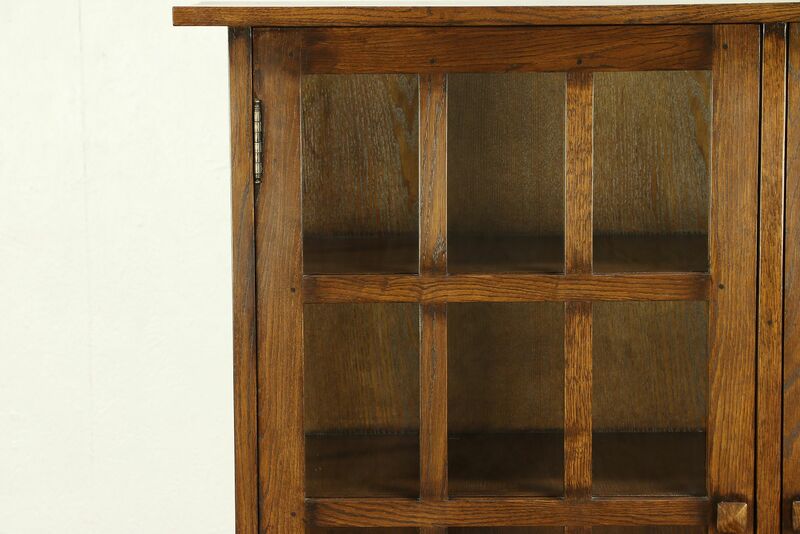 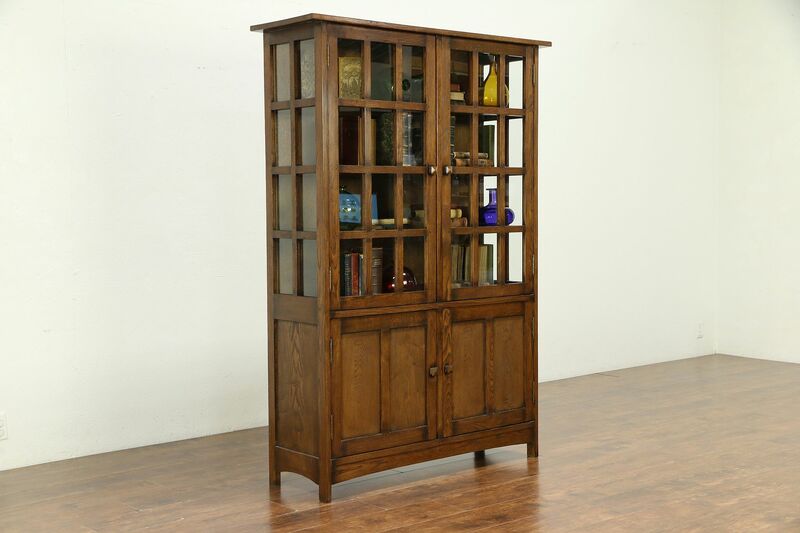 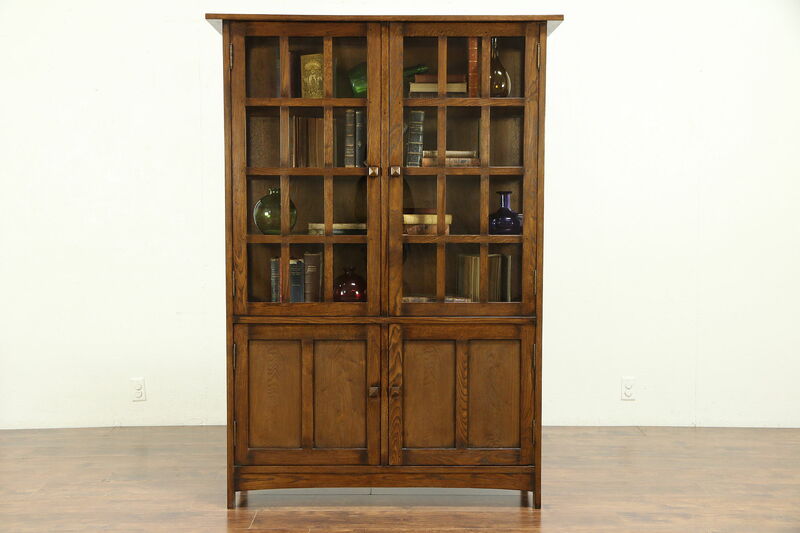 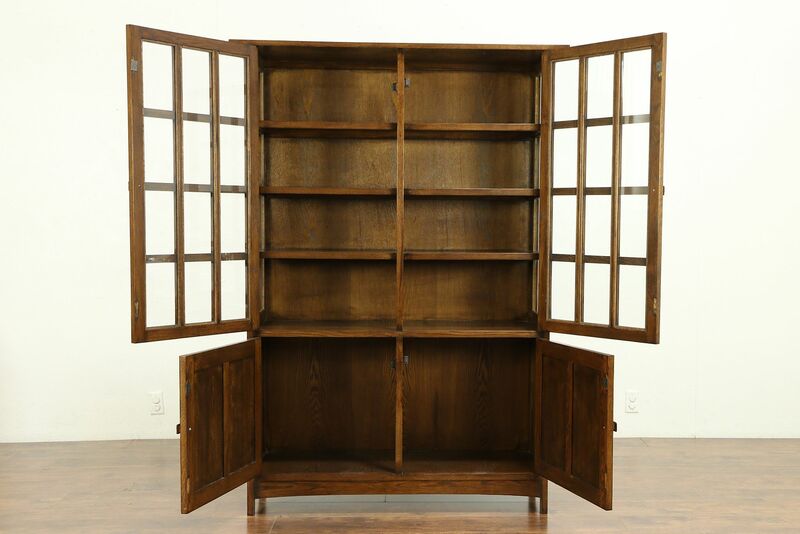 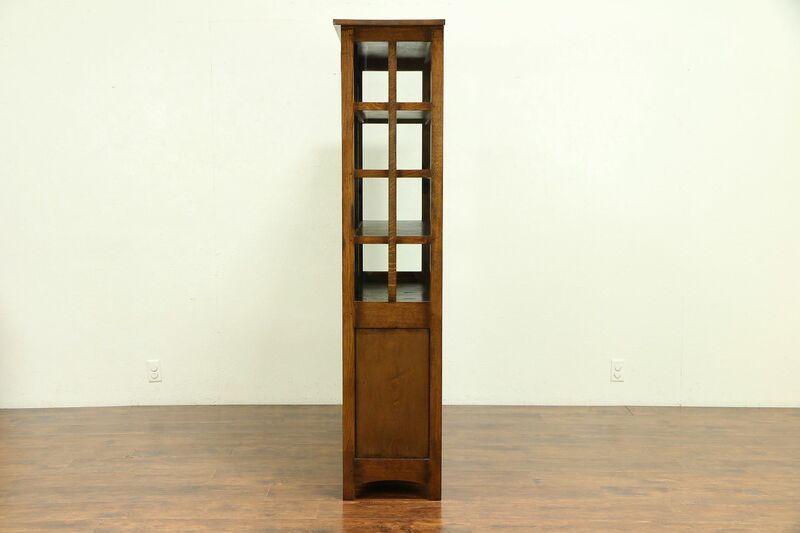 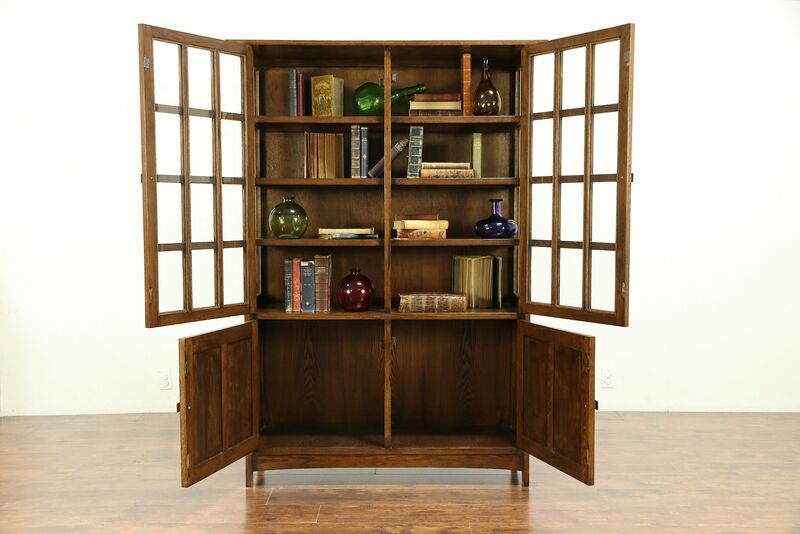 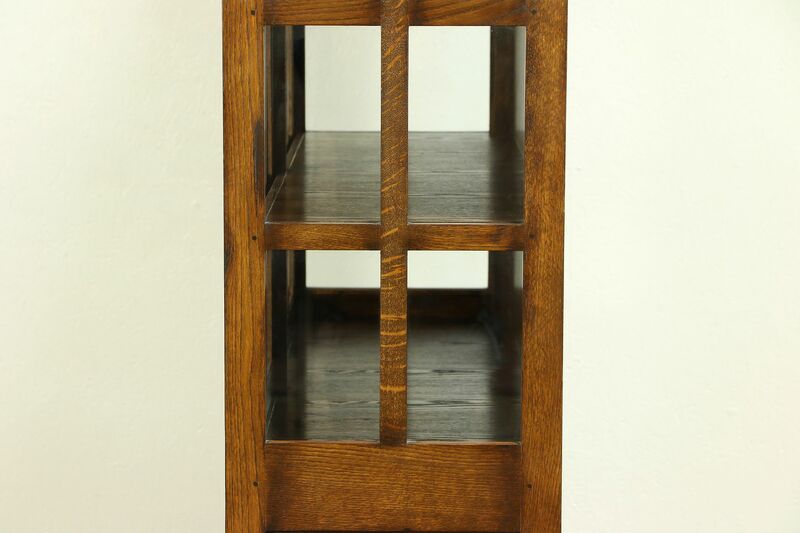 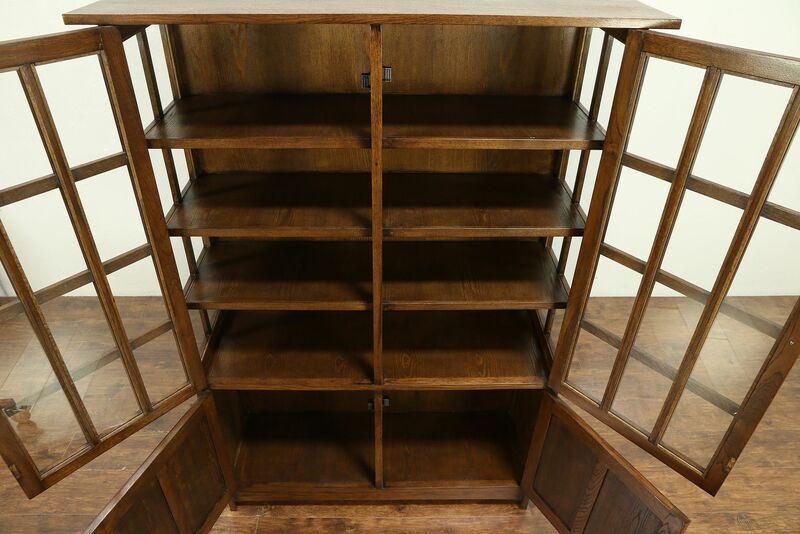 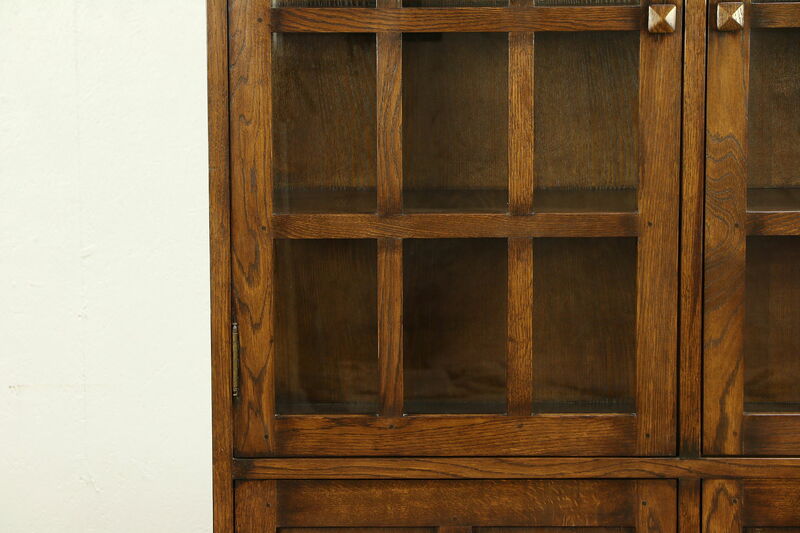 About 20 years old, this Craftsman style solid oak bookcase or kitchen pantry cabinet has joints with wooden pegs and four doors. 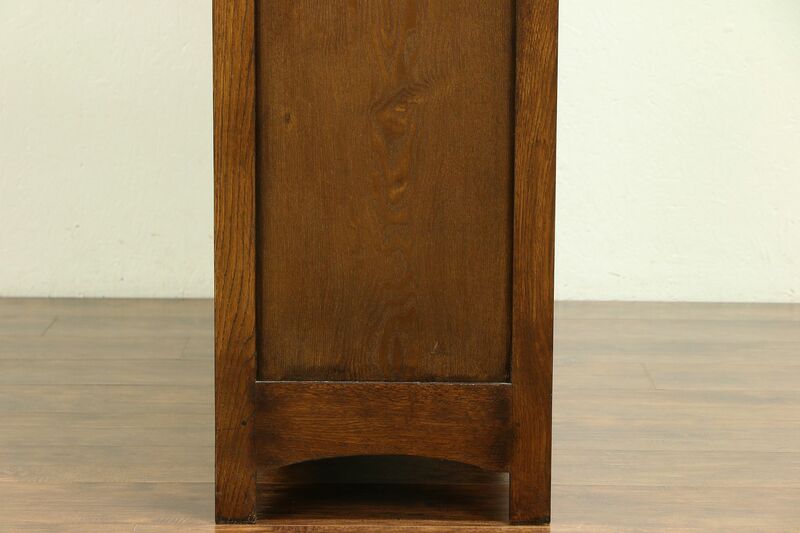 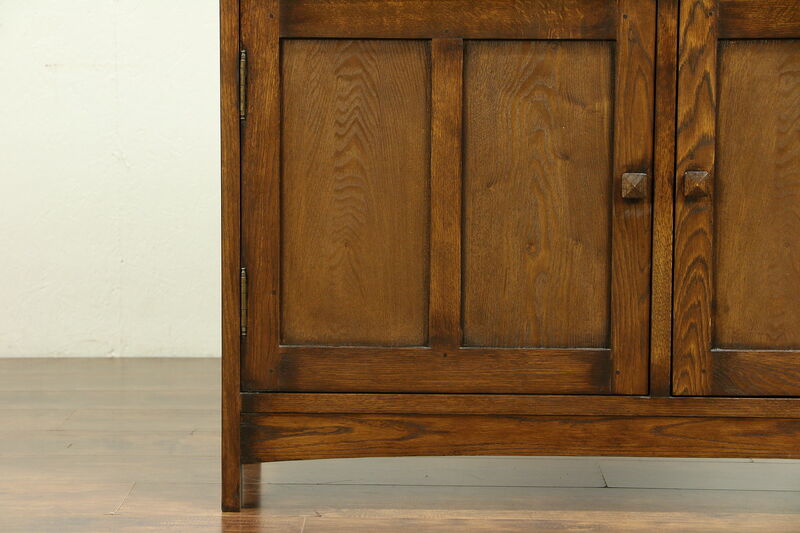 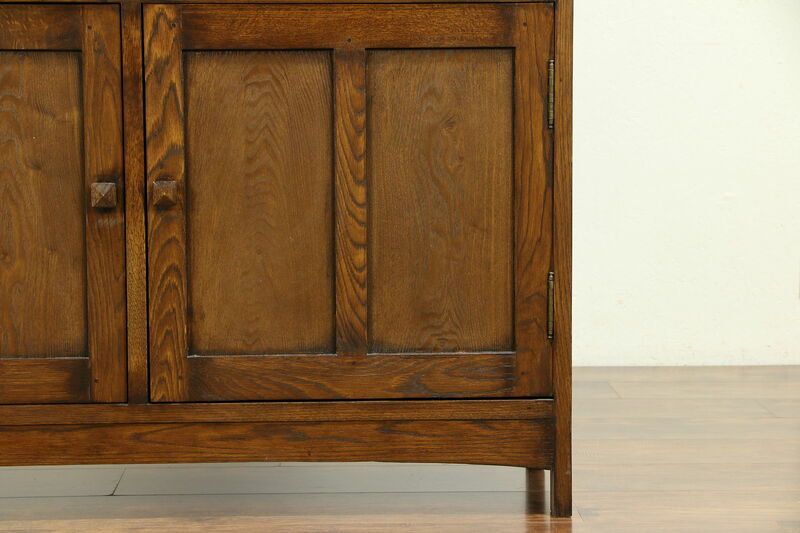 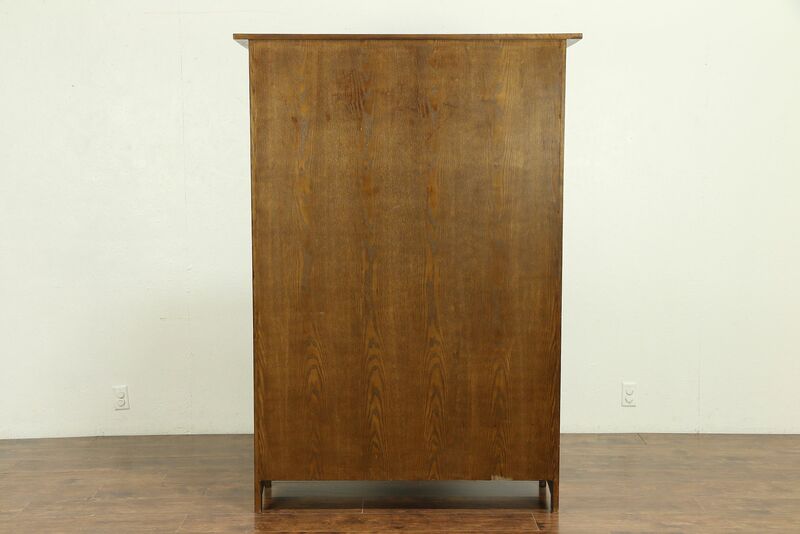 The original deep finish is in excellent condition on this vintage furniture. 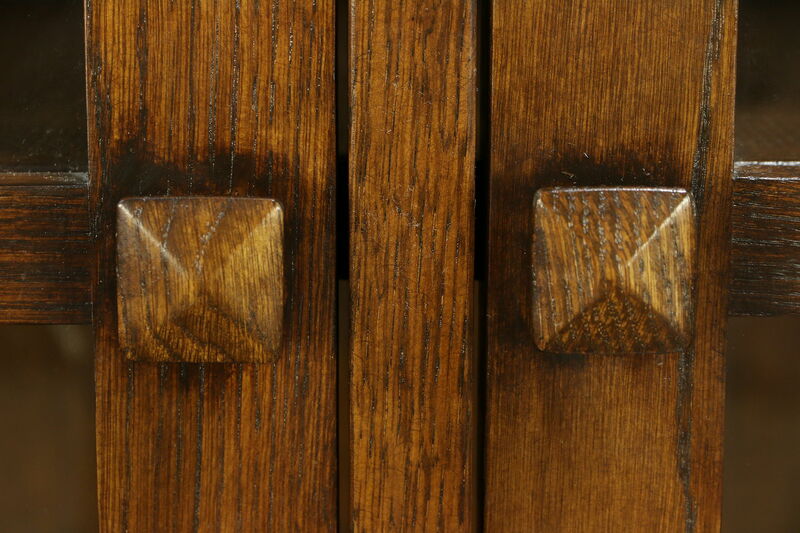 There is no maker's signature. 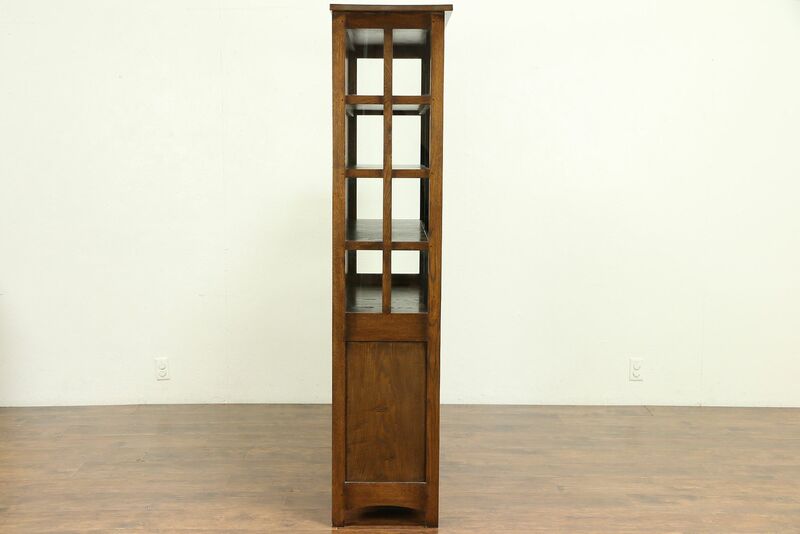 Interior depth is 13." 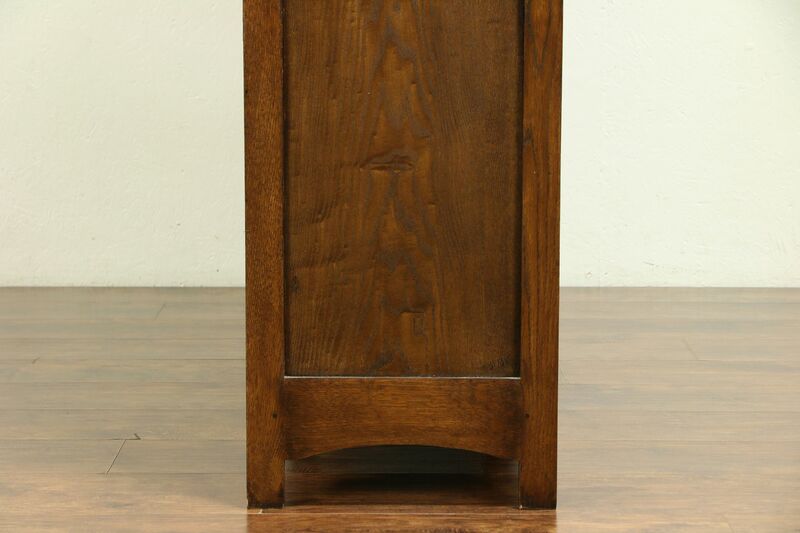 Measurements are 49" wide tip to tip, 16" deep and 69 1/2" tall.